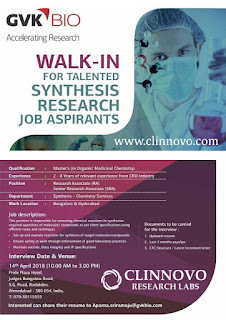 Clinnovo Offers Services & Training In Clinical Research Course, Clinical Data Management Training, SAS, SDTM, ADaM, Medical Coding, Imaging, Pharmacovigilance and Drug Regulatory Affairs. 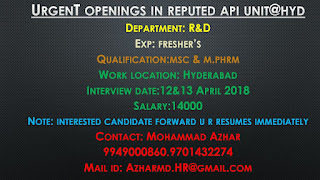 Online Clinical Course, Class Room, Pg Diploma, Internships Available. 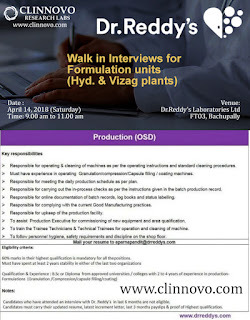 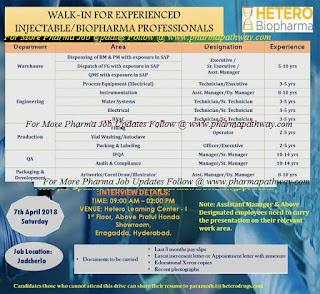 HETERO Biopharma – Walk-In for Warehouse / Production / QA / Engineering / Packing on 7th April, 2018 @ Hyderabad.